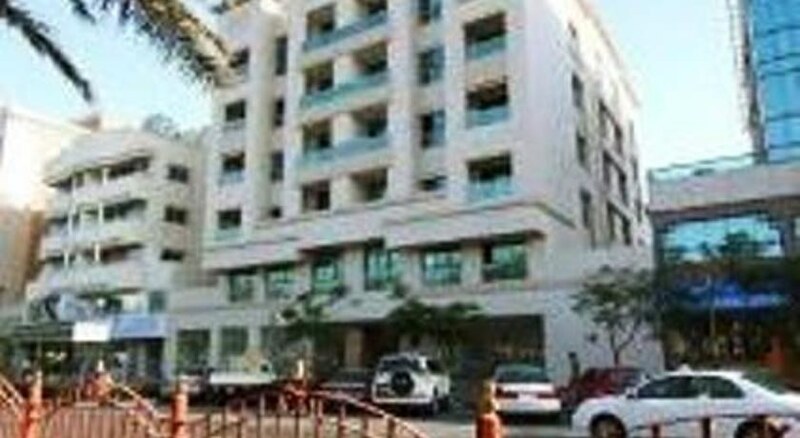 This apartment complex is conveniently located in Deira, Dubai, in close proximity to a host of cultural attractions. The complex is situated near an array of shopping opportunities, dining options and entertainment venues, where guests will find activities suited to their own acquired tastes. The complex presents a traditional architectural design, blending effortlessly with its surroundings. The guest rooms are spacious and endearing, offering a relaxing space in which to unwind at the end of the day. 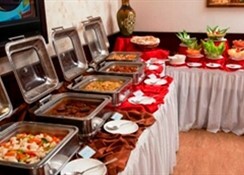 The complex offers an array of facilities, catering to the needs of each individual guest. Built in 2007, Icon Hotel Apartments is a distinct addition to Dubai and a smart choice for travelers. The hotel lies 0.5 km from the city center and provides accessibility to important town facilities. For those of you who want to venture out, Al Ghurair centre, THE OUTLET Store, Reef Mall are just some of the attractions available to visitors.Icon Hotel Apartments also offers many facilities to enrich your stay in Dubai. The hotel offers access to a vast array of services, including free Wi-Fi in all rooms, 24-hour front desk, 24-hour room service, express check-in/check-out, Wi-Fi in public areas.All guest accommodations feature thoughtful amenities to ensure an unparalleled sense of comfort. The hotel offers fantastic facilities, including outdoor pool, to help you unwind after an action-packed day in the city. Icon Hotel Apartments is a smart choice for travelers to Dubai, offering a relaxed and hassle-free stay every time. 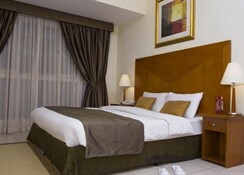 Icon Hotel Apartments is perfectly located for both business and leisure guests in Dubai. The property features a wide range of facilities to make your stay a pleasant experience. All the necessary facilities, including free Wi-Fi in all rooms, 24-hour front desk, 24-hour room service, express check-in/check-out, Wi-Fi in public areas, are at hand. Television LCD/plasma screen, clothes rack, linens, mirror, slippers can be found in selected guestrooms. Access to the hotel's outdoor pool will further enhance your satisfying stay. Icon Hotel Apartments is an excellent choice from which to explore Dubai or to simply relax and rejuvenate. The air-conditioned studios and apartments come with a seating area with a satellite TV. Each has a modern kitchen with a microwave and a washing machine. All come with tiled floors and a modern décor. Located in Deira, this aparthotel is 0.8 mi (1.3 km) from Fish Roundabout and within 3 mi (5 km) of Gold Souk and Al-Maktoum Stadium. Deira City Centre and The Dubai Heritage Village are also within 3 mi (5 km). 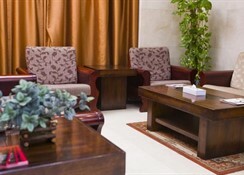 Just 2 km from the Golden Souk, Icon offers spacious accommodation with kitchens and free Wi-Fi. It has an outdoor pool and a steam bath.Newspapers and luggage storage are available at the 24-hour front desk. The staff can also arrange car rentals and a laundry service.Dubai International Airport is 3 km away. An airport shuttle can be arranged upon request.